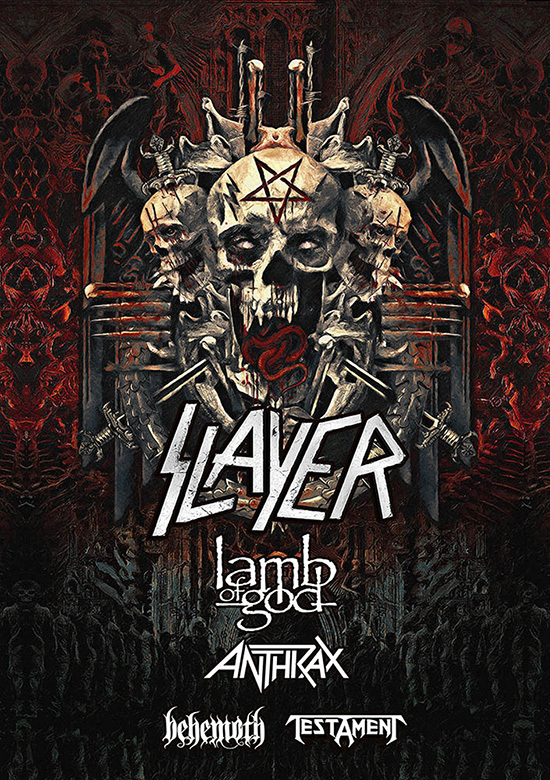 Lamb of God, Anthrax, Behemoth, and Testament, all bands who have close ties to and have shared the stage multiple times with the band over the years, will accompany Slayer on leg one, North America, of what will be its final world tour. The trek starts May 10 when a 26-date odyssey will have them crisscrossing the country, from San Diego to Toronto, Orlando to Minneapolis. Tickets go on sale to the public this Friday, January 26; log onto slayer.net for all ticketing info.